I have been writing grandma's cookie jar for seven years - since May of 2011. I do not receive payment for writing this blog - I write it to share, what I hope, is useful, valuable and fun information to help grandmas - and grandpas/parents - hand down the faith and build strong relationships with the children they love. From time-to-time I write a review of a product - and often hold a giveaway as well; when I do this, I typically am able to keep the item I review, but I am not paid for reviewing anything. I have recently learned more about being an "affiliate" site. Other than linking items I review to Amazon, I have previously not considered being an "affiliate", because to do so I have to believe in the product/company and they have to be something I would buy. I have now found two companies for which I am very comfortable being an affiliate - Eden's Garden and the Spice House. 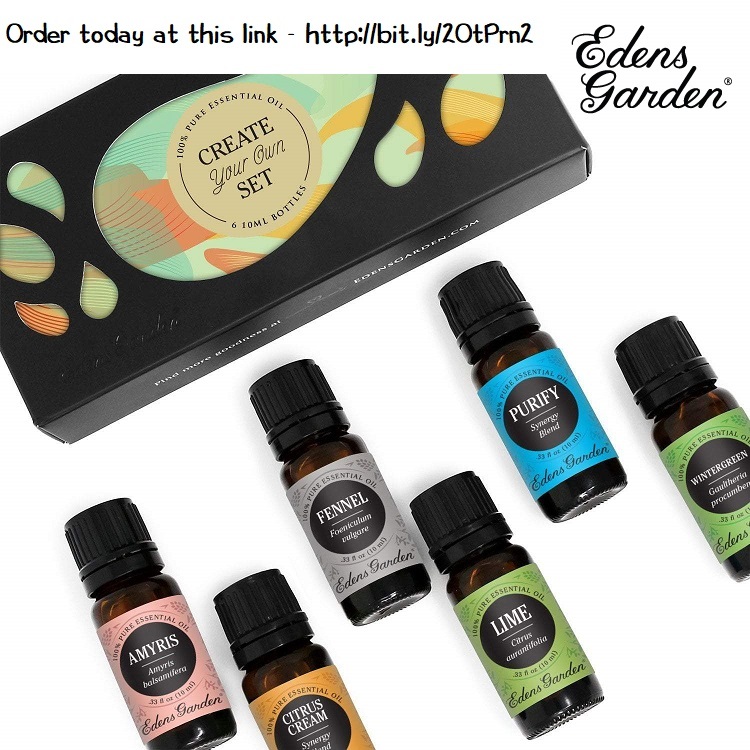 Eden's Garden is a non-multi-level-marketing company which sells high-quality essential oils. I wrote about Eden's Garden a few days ago and you will find my post at this link, but I have to say, I love Eden's Garden. Their oils are amazing and affordable - and they have free shipping on all orders! If you should decide to order oils from Eden's Garden, please use this link - you will not pay more to use this link, but they will pay me a "thank-you fee" for sending customers their way. I have also decided to be an affiliate for the Spice House. I'm a grandma, so I cook and bake. This means I use spices and herbs. My sister recently introduced me to the Spice House - their spices are of the highest quality and their prices are excellent, so I am very happy to recommend them. 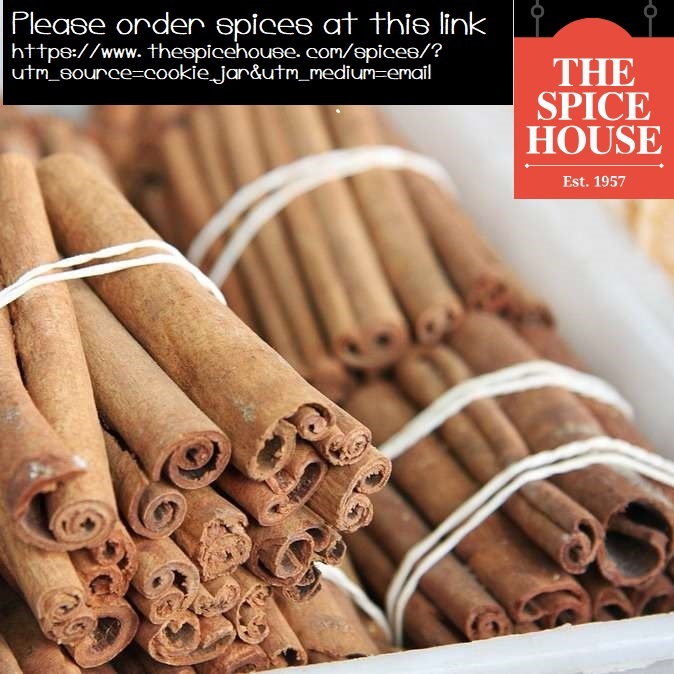 As you get ready for your Holiday baking and cooking - and for your everyday cooking and baking - please check out the Spice House for your spice and herb needs. As with Eden's Garden, if you should use this link to order, they will pay me a "thank-you fee" for sending customers their way, but you will not pay a higher price. The Spice House is sending some cinnamon for me to review - and are making another jar available for me to give away in my Christmas Gift Giveaway - so stay tuned! With both The Spice House and Eden's Garden, you will find links to order from them at the top of the column on the right side of grandma's cookie jar - making them always easy for you to find and use, should you decide to do so. Nice companies I have heard. I'm a user of essential oils. Have fun getting to know both companies!